Christmas has already started all over the world. It’s just month for Christmas everyone started to plan for Christmas. 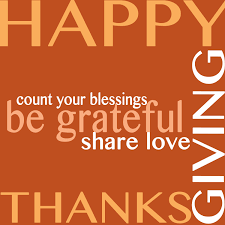 Before Christmas, Thanksgiving Day is the most important celebrated in west. A day to thank the special persons in our life with gifts. Let’s look some facts that were not known to many regarding thanksgiving day. 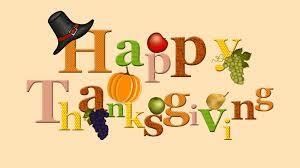 Thanksgiving Day is celebrated on November 26 of this year. During childhood we might have heard the Jingle Bells song. We believe it’s a Christmas song but actually it’s a thanksgiving song. Going back to history, Thanksgiving was a holiday when 3,500 American soldiers filled the pews of Abbey in 1942 for Thanksgiving. This was the first time in 900 years that a foreign army had set foot on its grounds. In 1947 the “National Turkey Federation” has given the President a turkey. This has become a ritual to present every year a Turkey as a gift to president. Finally the present had usually ended up on the dinner table. George Bush was the first president to officially offer it a pardon. Since then 1 lucky turkey will be offered a presidential pardon every year. Benjamin Franklin was obsessed with turkeys. It has been said that Ben Franklin named the male turkey “Tom” to spite Thomas Jefferson. Thomas Jefferson thought thanksgiving was the most ridiculous notion ever. You remember the person who brought “Mary had a Little Lamb”, we need to thank him once again for bringing Thanksgiving as a national holiday. After a 36 year campaign that consisted primarily of writing letters to presidents and congressmen, magazine editor Sarah Hale finally convinced Abraham Lincoln to officially recognize the tradition in 1863. An average American will consume between 4,000 and 6,000 calories of food on Thanksgiving Day. This requires about 8 hours of exercise to burn off. How do you tell if a cranberry is ripe? By bouncing it of course! The higher the bounce, the riper the berry. According to Dr. Sarah Birkhold the heaviest turkey ever was 86 pounds. That’s about the size of a large German Shepard. 1/6th of annual turkey consumption in America occurs on Thanksgiving Day. More than any other holiday, the eve before Thanksgiving is responsible for the most bar sales in America. Israel consumes more turkey than any other nation. In 1939 Franklin Roosevelt declared that America would celebrate Thanksgiving one week early in the hope that retail sales would increase, thus boosting the struggling economy. When Neil Armstrong and Buzz Aldrin landed on the moon in 1969 their first meal consisted of communion and roasted turkey. Since then thanksgiving has been celebrated onboard several spacecraft including the Mir and the Columbia.